Let’s Listen and Talk is a programme for deaf children from birth to 5 years old provided by experts at The Elizabeth Foundation. 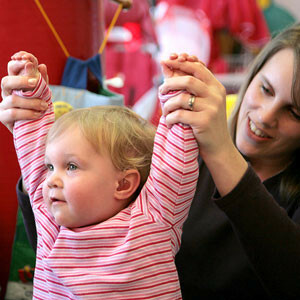 We have created Let’s Listen and Talk specially for families who want to help their baby, toddler or pre-school child with hearing loss develop listening, spoken language and communication skills. 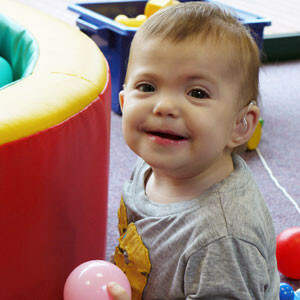 Let’s Listen and Talk enables you to access The Elizabeth Foundation’s decades of expertise in helping young deaf children learn to listen and communicate, even if you’re not able to attend our family centre in person. The Let’s Listen and Talk programme has a few simple goals for your child. Your child is wearing their hearing aids or cochlear implants all their waking hours – in fact your child positively enjoys wearing them! Your child is confident to use their voice – they recognise that sound and words are an effective way to get what they want and are happy to try! Your child is increasingly communicating effectively for themselves – it is entirely natural for your child to communicate through listening and speaking.